Oak Harbor area students, we need your help. 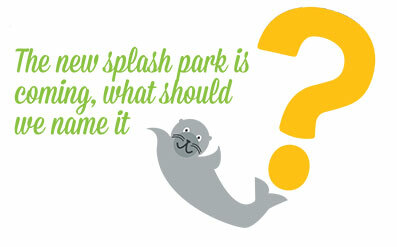 Our new splash park is opening this summer and needs a name. View our official entry rules and submit your idea. 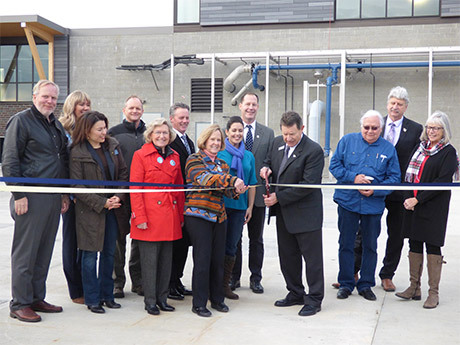 Entries are due by May 2 at 10 p.m.
On November 29, we celebrated completion of the Clean Water Facility at our ribbon cutting ceremony. During the event we not only cut the ribbon, we also took the final step to make the facility fully operational by directing effluent flows out to Oak Harbor Bay. The new facility is so state-of-the-art that all we had to do was press a button on a tablet, no wrench required! Check out our YouTube page for speeches from Mayor Severns and our project partners. Thank you to everyone who joined us to help celebrate, including City Councilmembers, City staff, our Clean Water Facility operators, the project team, project partners, and members of the community. Speakers at the event included Mayor Bob Severns, Senator Barbara Bailey, 10th District Representative Norma Smith and representatives from our project partners including the Swinomish Indian Tribal Community, Environmental Protection Agency, Washington State Department of Ecology, and Puget Sound Partnership. The Oak Harbor community in partnership with the city is gearing up to upgrade Bailey's Playground, located adjacent to Windjammer Park. Visit our Participate page for more information on what's happening and how to get involved. 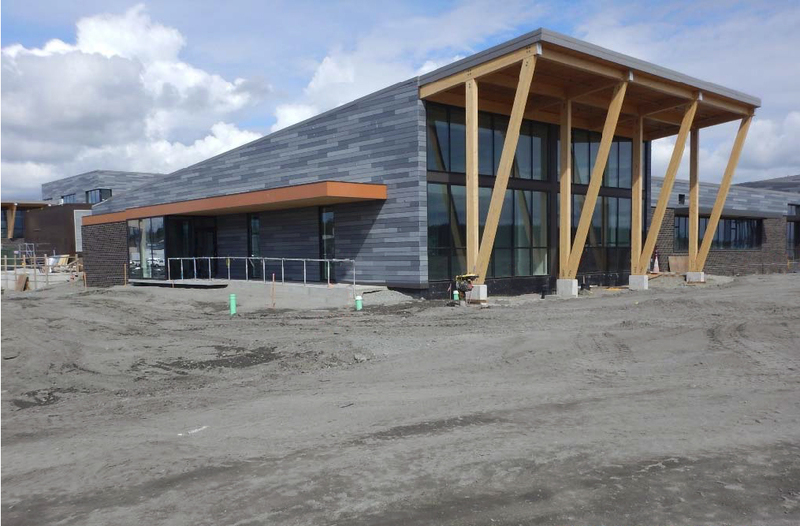 The City of Oak Harbor is upgrading the wastewater treatment system to better serve the Oak Harbor community and protect Puget Sound. How will the facility work? 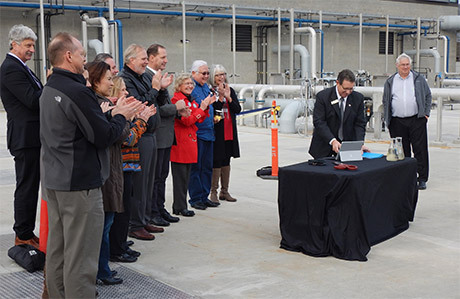 Mayor Severns using our state-of-the-art technology to send Clean Water Facility flows to Oak Harbor Bay. Mayor Severns cutting the ribbon at the facility with City Councilmembers, elected officials, and project partners. 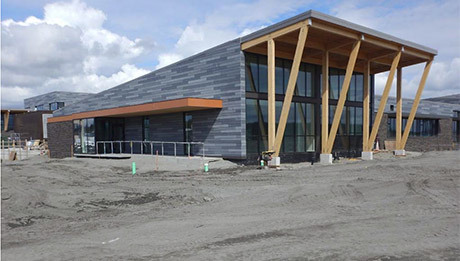 The administration building at the new Clean Water Facility.